“Hombelaku” is a medium to long term residential rehabilitation centre for individuals with a chronic mental illness. It is a unit of Kasturba Medical College, Manipal. Our objectives are to provide a nurturing environment for healing, minimize disability, enhance strengths! abilities and facilitate the integration of the person into society. We need dedicated volunteers to help by contributing their time, energy and talent to our work. Volunteers who are able to help in teaching fine arts- music, dance, painting, sculpture etc. and any kind of craftwork also, would be deeply appreciated. 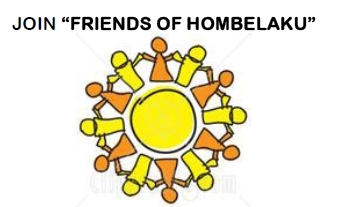 Come join “Friends of Hombelaku” and make a Difference!